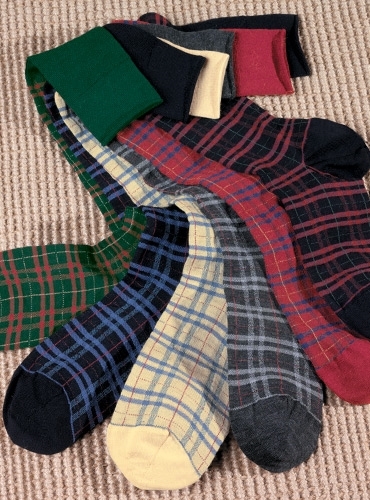 Our plaid 85% wool over the calf socks are available in a range of color, left to right: 02-green,red; 03-navy,blue; 09-yellow,blue; 10-grey,grey; 01-red,blue; 04-navy,red. One size fits all, over the calf. 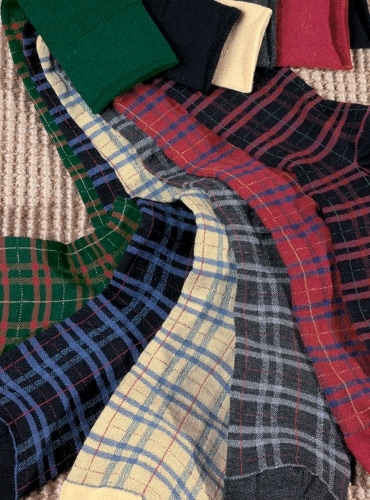 Plaid socks, PLSX.